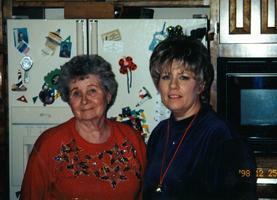 Provide comfort for the family of Dorothy Jennings with a meaningful gesture of sympathy. 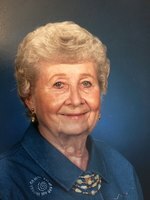 Dorothy Leona Jennings, 89, of Kansas City, Missouri, formerly of Potosi, went to be with her Lord and Savior Jesus Christ on Friday, January 18, 2019. She was born on April 5, 1929 in Potosi, Missouri a daughter of the late Alfred David Brand and the late Verda Edith (Jarvis) Brand. In addition to her parents, Dorothy was preceded in death by her son Gary Compton; brother, Veldon "Buck" Brand; sister-in-law, Patricia Brand; brother-in-law, Charles Johnson; nephew, Donnie Brand. Survivors include her daughter, Beverly (Daniel) Dirck; two sisters: Mildred “Midge” Johnson and Treva (Larry) Lovvorn; two grandchildren: Sean (Lyn) Ripper, Dawn Hoskinson; six great grandchildren: Madison, Luke, Nina, Hannah, Chase and Anissa; great great grandson, Corbin. 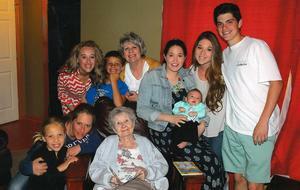 Three step grandchildren: Mike (Kim) Dirck, Dustin (Cindy) Dirck and Rock (Amanda) Dirck; also surviving are step great grandchildren, nieces and nephews who will truly miss her. The family will receive friends on Thursday, January 24, 2019 from 4:30-8:00 PM at the DeClue Funeral Home. Visitation will resume on Friday, January 25, from 9:00-11:00 AM. A Funeral Service will be held on Friday, January 25, 2019 at 11:00 AM held in the DeClue Chapel with Elder Leonard Compton and Elder Larry Lovvorn. Interment will follow in the New Masonic Cemetery, Potosi, Missouri. Funeral arrangements were respectfully entrusted to the care and direction of the DeClue Funeral Home, Potosi. View video tribute and leave online condolences by visiting decluefuneralhome.com. 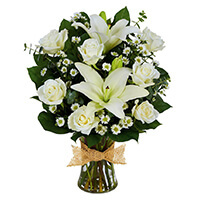 To send flowers in memory of Dorothy Leona Jennings (Brand), please visit our Heartfelt Sympathies Store. Your Friends Forever, Sandy and Carol sent flowers to the family of Dorothy Leona Jennings (Brand). Your Friends Forever, Sandy and Carol purchased the Tribute Mixed Vase Arrangement - All White for the family of Dorothy Jennings. Prayers and sympathy to all the family. Dorothy was a sweet person and a barrel of fun.